Venture Center’s resident incubatee and seed invested company Synthera Biomedicals Pvt Ltd received the Tarun Tejankit Award for Young Achievers 2018 from Loksatta (from Indian Express Group). Venture Center’s incubatee startup Blackfrog Technologies Pvt. 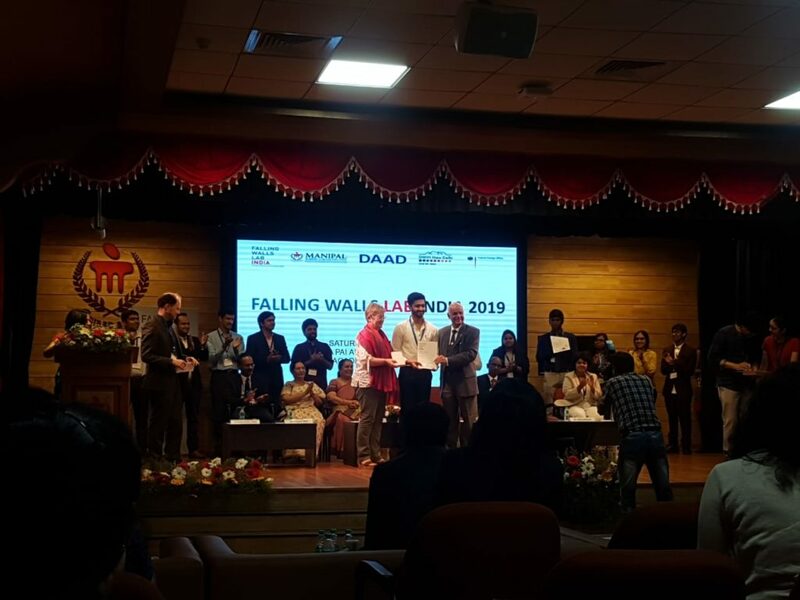 Ltd. won first prize at Falling Walls event conducted by German Centre for Research and Innovaton (DWIH) and DAAD. The company will now pitch at the international event in November 2019. 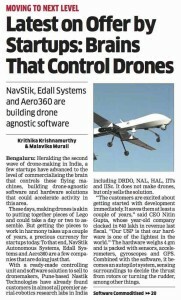 This news has been reported in Times of India. PadCare Labs Pvt. Ltd. received Government of Maharashtra (GoM) and NASSCOM‘s innovative startup award 2019 during NASSCOM Technology and Leadership Forum (NTLF) by honorable CM Devendra Fadnavis ji as well as we received jury’s special mention award under Infosys foundation’s Aarohan social innovation award-2019 by respected Sudha Murthy Mam. 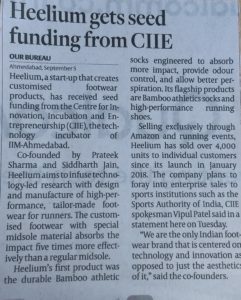 Venture Center resident incubatee Heelium Sports Pvt. Ltd. has received seed funding from CIIE. Venture Center’s resident incubatee Synthera Biomedicals Pvt. 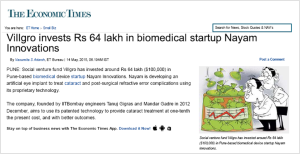 Ltd. has raised investment from BIRAC through Venture Center’s seed fund scheme & 1Crowd. Rahul Dahule and Ranjeet Utikar (from VIVIRA) from Dutch start-up Water Knight were awarded for their advanced oxidation reactor technology, which is used for intensifying wastewater treatment in industries with complex effluents. Venture Center’s graduated incubatee, Ather Energy Pvt. Ltd. was captured by The Hindu BusinessLine in an article where the founder mentioned about availability of Ather’s electric two wheeler by the middle of next year. 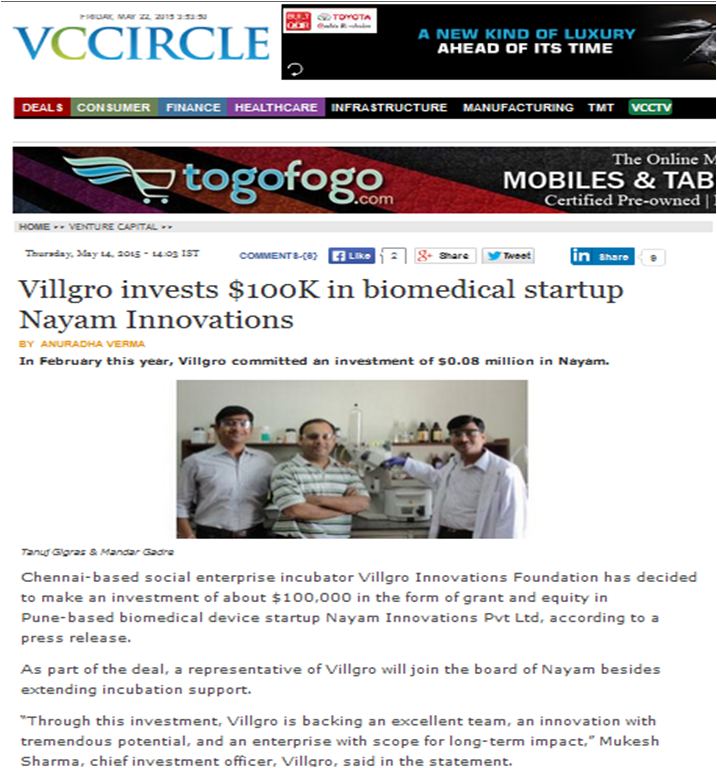 Anuya Nisal of Biolmed Innovations Pvt. 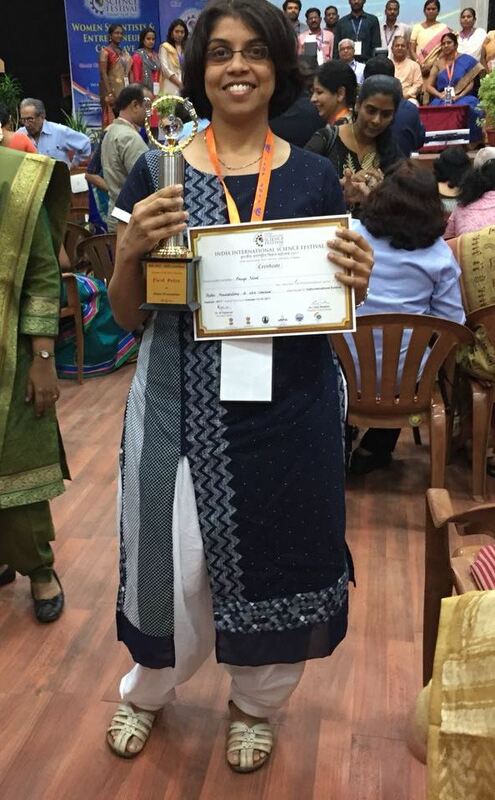 Ltd. won at the Indian International Science Festival at Chennai. The award was part of “Women scientist & entrepreneur’s conclave”. Venture Center’s incubatee Swasti Agro & Bioproducts Pvt. Ltd. was featured on Hunnarbaaz season 3 on 24.09.2017. Venture Center’s incubatee Jeevtronics Pvt. Ltd. was featured on Hunnarbaaz season 3 on 24.09.2017. Venture Center’s resident incubatee VIVIRA Proecss Technologies Pvt. Ltd. is selected for the “BIRAC Innovator Award 2017″ in recognition of the significant contribution made by the company towards the high level of innovation research in industrial biotechnology. Venture Center’s incubatee Swasti Agro & Bioproducts Pvt. Ltd. was selected for semifinals at the STARTUPS CLUB Demon Day 2017. Startups Club is a community for early stage startups across India and Startups Club Demo Day is conducted every year in order to make it possible for startup founders to get in touch with investors from across the country. More information about the program here: startupsclub.org/demoday. 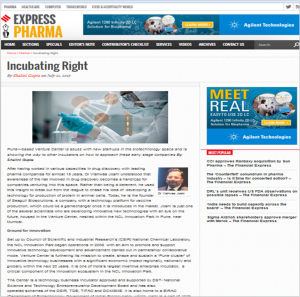 Omix Diagnostics and Research Labs was featured as one of the 10 best emerging healthcare startups in Insights Success magazine. 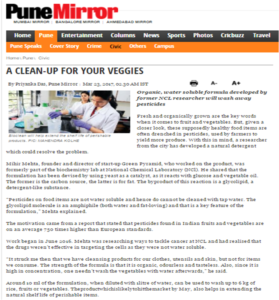 Venture Center’s resident incubatee Green Pyramid Biotech Pvt Ltd featured in Indian Express in an article named “NCL develops ‘solution’ to wash off germs from fruits, veggies” . Venture Center resident incubatee Swasti Agro & Bioproducts Pvt Ltd received DSIR recognition along with the excise – import duty exemption certificate. Venture Center’s resident incubatee “Synthera Biomedical Pvt Ltd” won 1st prize (out of 9 participants) in the Pitch Fest event under Med Tech and Diagnostics category at Start Up Bio 2017 in Bangalore. The company received a certificate and an award of Rs. 1 lakh. The event was held on April 25-26,2017 and was organized by Institute of Bioinformatics and Applied Biotechnology (IBAB) and Bangalore Bioinnovation Centre (BBC). The Pitch Fest had a distinguished panel of judges comprising investors and financial/business experts in the health care space representing organizations such as Kotak Investment Advisory, 1Crowd, Villgro, etc. The article describes the need of the type of product developed by the company in the market and also showcased the requirement of targeted research activities in India. 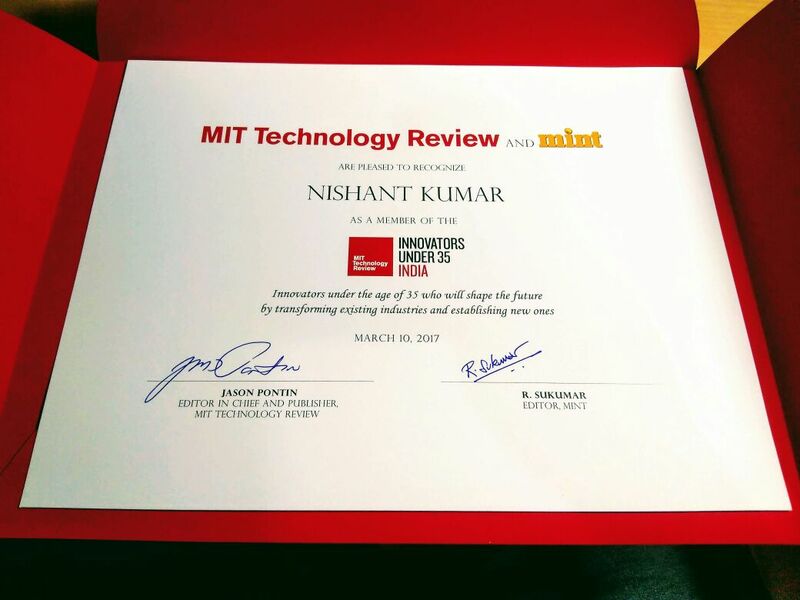 Nishant Kumar of Embryyo Technologies is one among “Top 10 Innovators Under 35” from India. Mint, the financial daily from the stable of HT Media Ltd, and MIT Technology Review, published by the Massachusetts Institute of Technology (MIT), teamed up to identify the ‘Top 10 Innovators Under 35’ from India. Nishant Kumar -co-founder of Embryyo Technologies Pvt Ltd , a resident incubatee of Venture Center is one among the top ten innovators. The 10 candidates were chosen from hundreds of applicants from areas like biomedicine, computing, communications, health, education, digital, energy, materials, cybersecurity, fintech, wearables, robotics, education and transportation. The 10 winners from India automatically qualify for the TR35 global competition. CSIR-National Chemical Laboratory (CSIR-NCL), Pune and CSIR- Institute of Genomics and Integrative Biology (CSIR-IGIB), New Delhi together signed a Patent Licensing agreement with Ahammune Biosciences Pvt. Ltd., Pune for Vitiligo drug development on March 2, 2017. Ahammune is a resident incubatee company of Venture Center. Ahammune Biosciences is an innovation-led drug discovery start-up company with the vision to find a new drug for the debilitating skin disorder, Vitiligo. It is the most common depigmenting disease with over 80 million people affected by it. Venture Center’s Associate Incubatee “Newndra innovations Pvt Ltd” has been selected among the top 10 promising StartUp of the year 2016 by Confederation of Indian Industries. Venture Center’s associate “Omix Diagnostics Labs Pvt Ltd” is one of the winners of the Discovery Award by NESTA, for developing tools and diagnostics to battle antimicrobial resistance across the world. 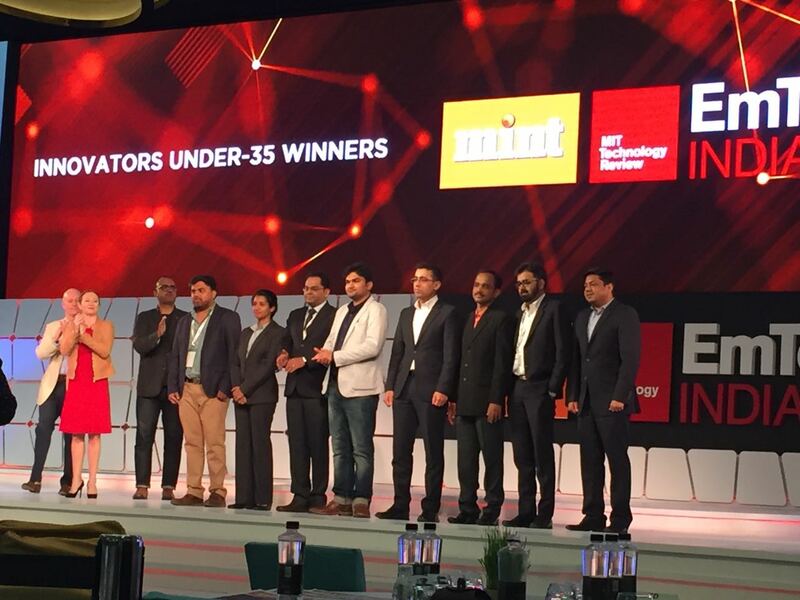 The company is one of 12 companies/institutions globally (and among 5 in India) to have won the prize. Venture Center’s resident incubatee company “Genrich Membranes Pvt Ltd” is the recipient of 1st eN-ABLE Startup Award in the BioEngineering Category. The eN-ABLE Startup Awards 2016 will be given to best Startups in 6 categories. 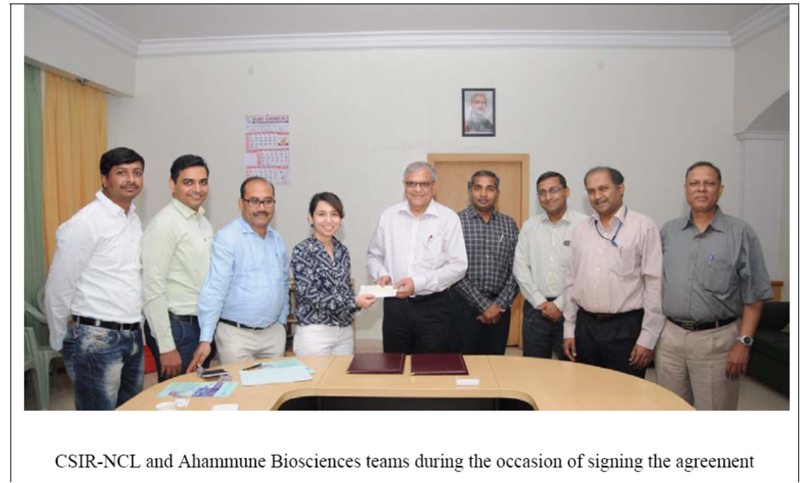 ABLE or Association of Biotechnology Led Enterprises, founded in 2003 by Dr Kiran Mazumdar-Shaw, is India’s leading biotechnology industry association. The awards will be presented by Union Minsiter, Mr Parshottam Rupala on the opening day of ABLE’s BioEconomy Conclave on Tue, 29th November 2016 at John Stein Auditorium, India Habitat Center, New Delhi. at 1930 hrs. Full details of the conference is available at www.bioeconomy.in. MolqBits Sensors and Data won 1st eN-ABLE Startup Award in the BioAgri Category. Venture Center’s resident incubatee “Molqbits Sensors & Data Pvt Ltd has won the 1st eN-ABLE Startup Awarde in the BioAgri Category. The awards was presented by Union Minsiter, Mr Parshottam Rupala on the opening day of ABLE’s BioEconomy Conclave on Tue, 29th November 2016 at John Stein Auditorium, India Habitat Center, New Delhi. at 1930 hrs. Swayam Shikshan Prayog is one of the winners of Momentum for Change Lighthouse Activity Award 2016 – Women for Results. Venture Center’s graduated resident incubatee ” Swayam Shikshan Prayog” is one of the winners of “Momentum for Change Lighthouse Activity Award” 2016 – Women for Results. Venture Center’s resident incubatee Actorius Innovations & Research Pvt Ltd received DSIR recognition for their in-house R&D in Venture Center. As part of its Knowledge Network building activities, IKP Knowledge Park organises the International Knowledge Millennium Conference, IKMC, once every year on a topic of global relevance in technology innovation to deliberate on global trends, and opportunities for India in that area, with key stakeholders and experts. Green Pyramid Biotech Pvt Ltd-a resident incubatee of Venture Center has been selected for the Academia Industry Training – AIT Cycle 3 which is jointly organized by Department of Science and Technology (DST), Swissnex India and Society for Innovation and Entrepreneurship (SINE, IIT Bombay). Venture Center’s associate incubatee “Swasti Agro & Bioproducts Pvt Ltd” was featured on Zee Business program “Business Street” on Aug 21, 2016 at 19.00. The program featured the work done at Swasti Agro on “Building disease resistance in plants”. Venture Center resident incubatee Exocan Healthcare Technologies Pvt Ltd published a manuscript titled “Elucidating diversity of Exosomes: Biophysical and molecular characterization methods” in peer reviewed journal “Nanomedicine”. Venture Center’s resident incubatee “Embryyo Technologies Pvt Ltd” had been invited for a 3 day workshop on innovations in healthcare delivery, based on their TB work as a case study selected under the ‘Social Innovations in Health Inititiatives‘ program. 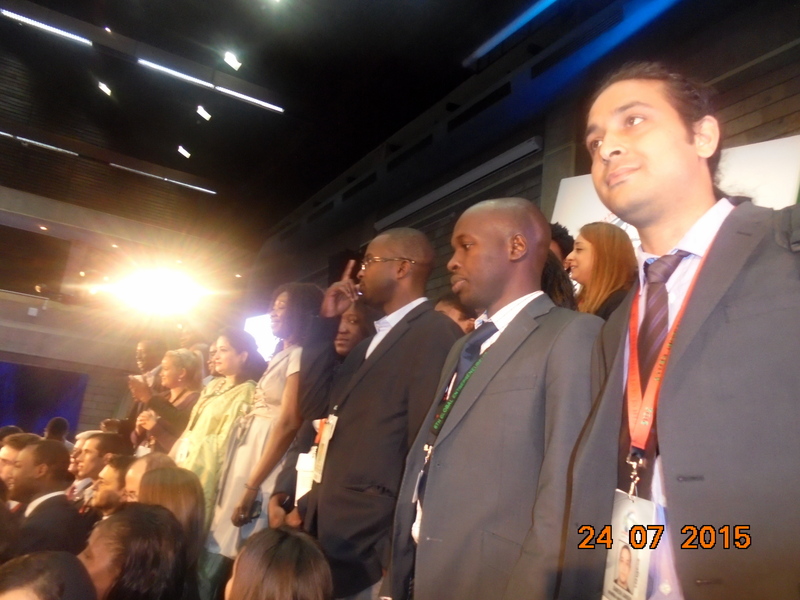 Embryyo was also featured in the SIHI video made by WHO TDR, Skoll, Oxford and Bertha, UCT. 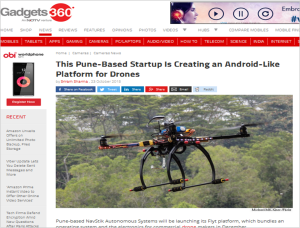 NavStik Autonomous Systems Pvt Ltd, a resident incubatee of Venture Center was adjudicated the winner at PuneConnect 2015. Puen Connect is the startup event of Software Exporters Associations of Pune in partnership with NASSCOM, TiE Pune, Pune Tech, SMEjoinup, CiiE, Pune Open Coffee Club, STPI, mccia etc. 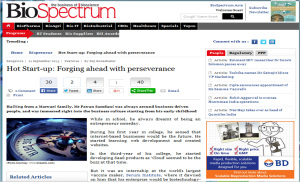 Newndra Innovation is featured in BioSpectrum in their November issue. 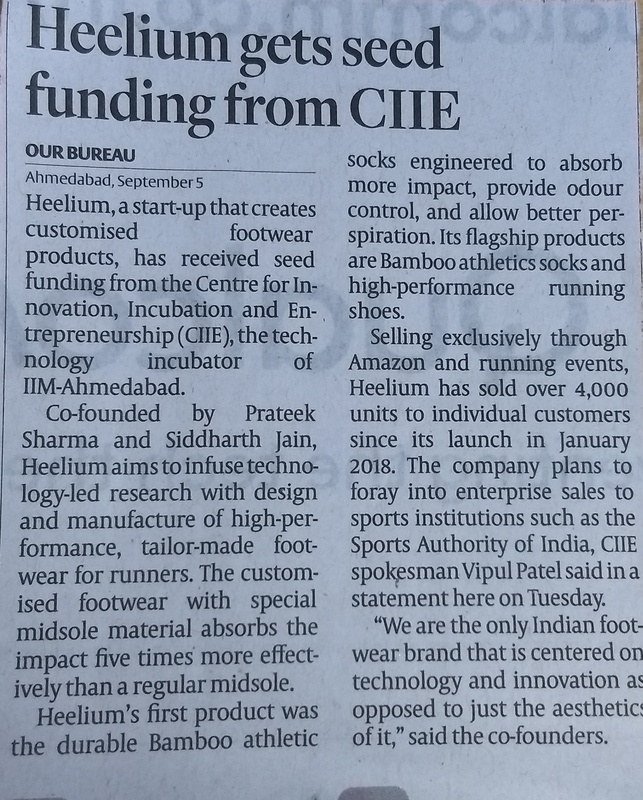 The article “Newest Hot Start-up: Newndra’s revolutionizing ‘JaipurBelt’ ” talks about how the innovator Mr. Ganesh Jangir came up with the idea of innovating product for the spine and waist support through a belt system named as “JaipurBelt”. 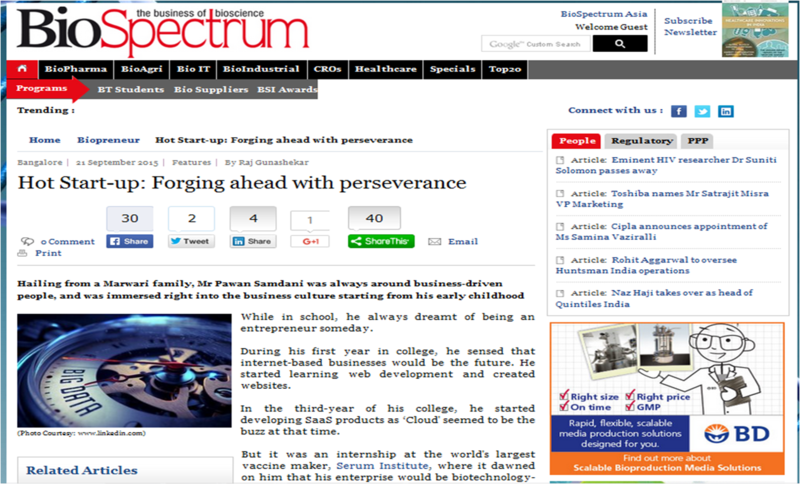 The article also talks about Newndra’s various achievements including a grant support worth Rs 1 million from the Department of Scientific and Industrial Research (DSIR), Government of India, the semi-finalist spot for Anjani Mashelkar Inclusive Innovation Awards 2014, invitation by IUSSTF to attend the 6th Global Entrepreneurship Summit 2015 in Nairobi, Kenya. Recently, Newndra was selected as one among the top-three for the Indo-US Science & Technology Fund. 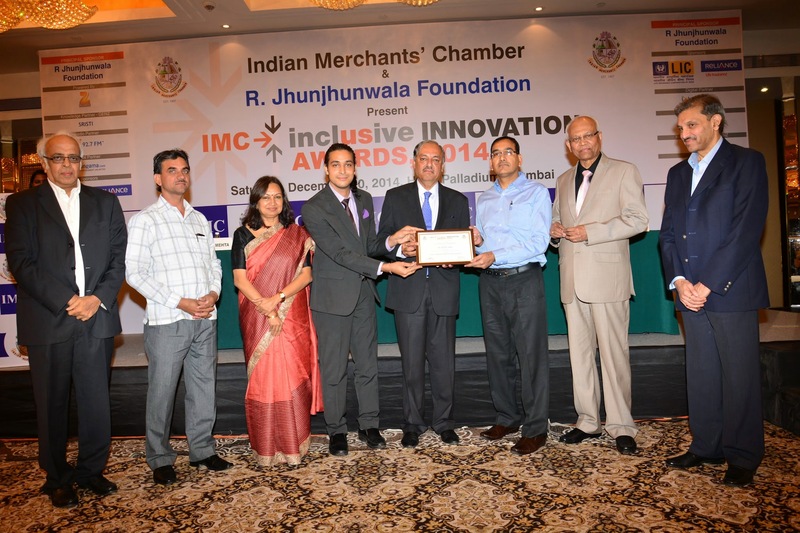 The company is also one of the top 5 finalists in the IMC (Indian Merchant Chambers) Inclusive Innovation Award 2014. 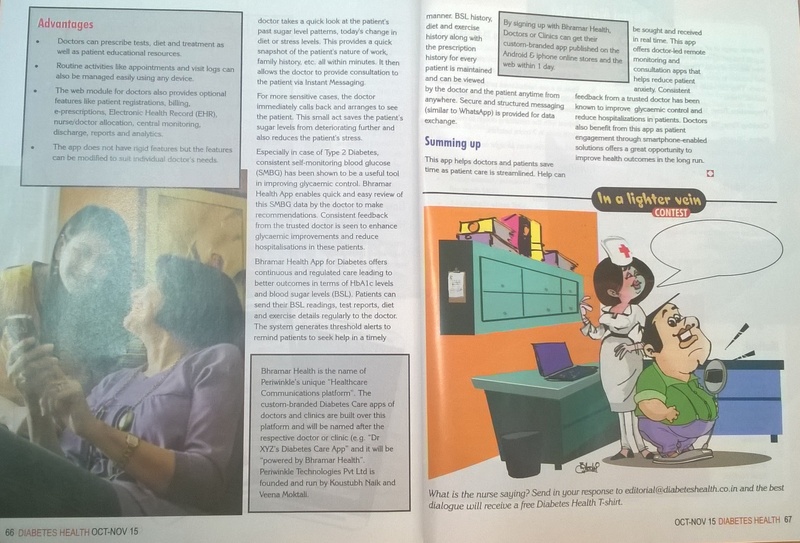 Venture Center’s resident incubatee Periwinkle Technologies Pvt Ltd was captured in “Diabetes Health” magazine-an awareness initiative by Chellaram Foundation, in their October-November edition. 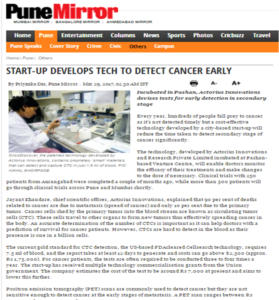 Omix Research & Diagnostics Labs has received in-principle approval for grant funding of 50 Lakhs. 1. 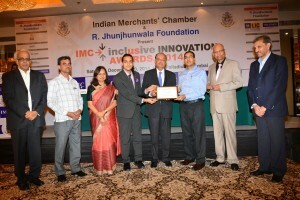 Top five finalist for IMC Inclusive Innovation Award. Aman Sharma of ExoCan Healthcare Technologies Pvt Ltd is featured in BioSpectrum in its 7th September 2015 issue. 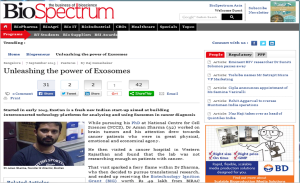 The article “Unleashing the power of Exosomes” talks about ExoCan’s journey so far in terms of innovation and technology , team, funding, future strategy for marketing and visibility. The article also captured the concern raised by Mr. Sharma regarding the various bottlenecks like lack of private funding opportunities in this space and potential failure risks. 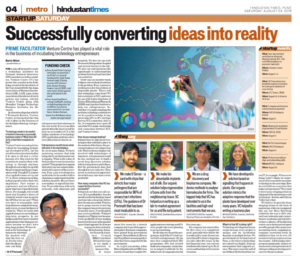 Dr. Girish Arabale , founder of Molqbits Sensors & Data Pvt Ltd, a Resident incubatee of Venture Center is featured in Ahmedabad Mirror on 2nd September 2015. The article ” Life with Pi” focuses on how children in remote tribal schools in Maharashtra are experiencing a digital wonderland, otherwise quite out of their reach, with the help of Raspberry Pi introduced by Dr Girish Arabale, in a bid to improve their lives. 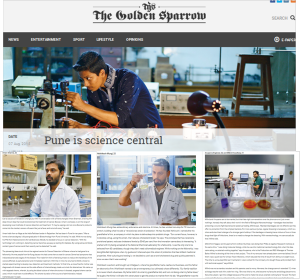 ExoCan Healthcare Technologies Pvt Ltd, Abhiruchi Probiotics Pvt Ltd and Milind Choudhary were featured in “The Golden Sparrow” Pune’s only weekly newspaper, published every Saturday. 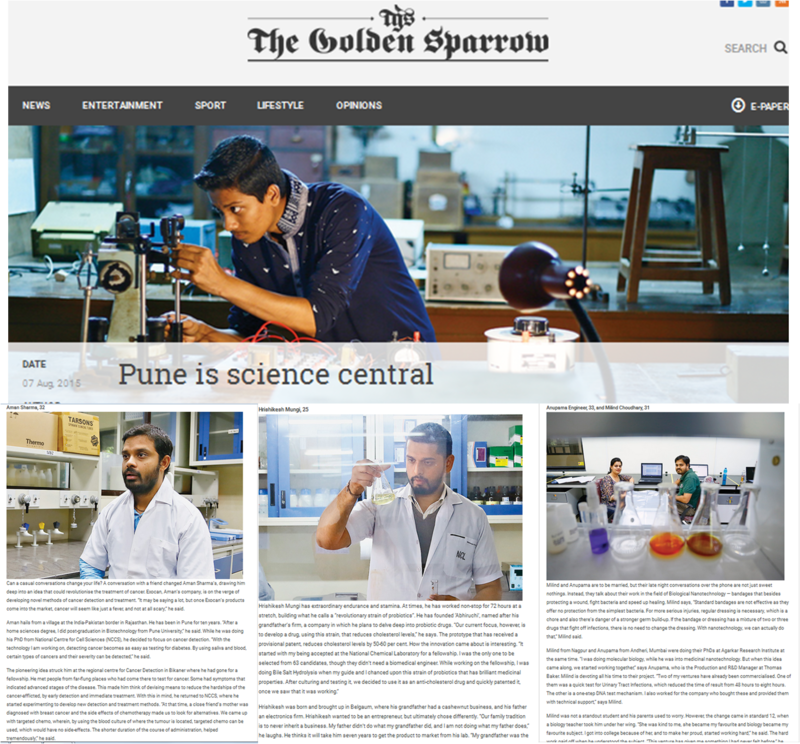 The article “Pune is science central” talks about how the students turned into entrepreneurs. About LexInnova-Venture Center award: IPFACE at Venture Center and LexInnova have teamed up to support inventive activities, innovators, inventive entrepreneurs and inventive R&D organizations in the Venture Center’s extended innovation ecosystem. Under its Corporate Social Responsibility activities, LexInnova has volunteered to provide free IP related services to deserving innovators, entrepreneurs and non-profit organizations selected and recommended by Venture Center. This collaboration was launched in FY2015-16. Venture Center and its resident incubatees Shantani Proteome Analytics, Seagull Biosolutions Pvt Ltd and BIRAC’s Biotechnology Ignition Grantee Dr. Tania Paul are featured exclusively in the Express Pharma- No.1 Business News Magazine of Indian Express for the pharmaceutical industry . Module Innovation Pvt Ltd, a Venture center resident incubatee was featured on Pixr8-an online news/media platform. 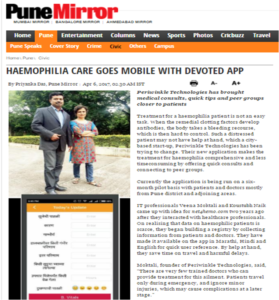 The exclusive article on Module Innovation named “Ecosense – A self-diagnosis checkup strip made by Pune based entrepreneurs” summarizes the journey of the company from the motivation behind the creation of the company to the current standing . 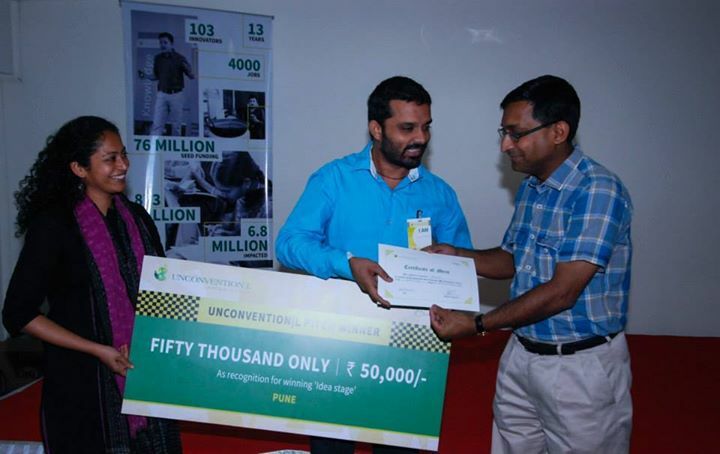 Dr. Sudeshna Adak of OmiX Research and Diagnostics Laboratories Pvt Ltd, a Ignition program member of Venture Center won the StartHealth competition by Unitus Seed Fund. The competition was sponsored by Unitus, Narayana Health, Manipal Hospitals, PATH, and Pfizer drew more than 100 health-tech entrepreneurs across India. Out of more than 100 applicants only 10 health-tech startups participated in the final online pitches to an industry jury. Omix Labs will receive a prize of INR 10 lakhs and an opportunity to pitch for participating in Unitus’ StartHealth investment Program that includes up to 50 lakhs of additional non-dilutive funding, an investment of up to INR 1 crore from Unitus Seed Fund and go-to-market support from StartHealth partners Narayana Health, Manipal Hospitals, PATH, Pfizer and Unitus Seed Fund. 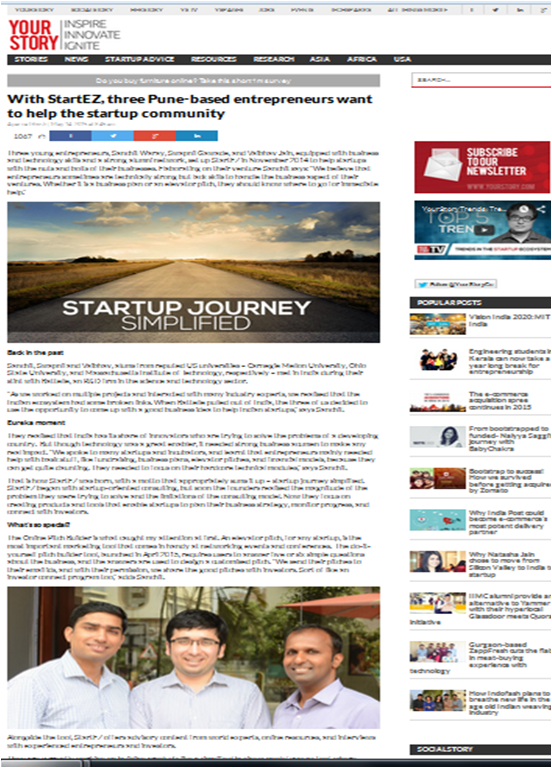 ExoCan Healthcare Technologies Pvt Ltd, a resident incubatee of Venture Center is featured in STARTUPWAVE Newsletter. The article focuses on the product features that ExoCan is developing and funding requirement of the company. About STARTUPWAVE: StartupWave is a virtual incubation platform that has been built as an infrastructure for the Indian startup incubation ecosystem, conceptualized by Intellecap in partnership with Government of UK’s Department for International Development in India and GIZ on behalf of the German Ministry of Economic Cooperation and Development (BMZ). As a collaborative platform, it aims to “democratize incubation” and is a one-stop service, providing a blend of virtual and in-person support to take start-up enterprises from idea to investment stage. This platform is designed in consultation with and is being used by incubators, corporates, funds and startups. Embryyo technologies awarded Grand Challenges Explorations Grants round 14. They are among 52 researchers who were awarded new Grand Challenges Explorations grants. 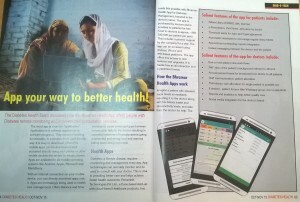 Embryyo Technologies Pvt Ltd’s “TB Drug Adherence Monitoring” project has been selected as the top 25 innovations under the ‘Social Innovations in Health Inititiatives’ program. “TB Drug Adherence Monitoring” project by Embryyo Technologies Pvt Ltd, a resident incubatee of Venture Center has been selected as the top 25 innovations under the ‘Social Innovations in Health Inititiatives‘ program. Dr. Rajkumar Rajagopal, Rajgopal-Director R&D, Cellzyme Biotech India Pvt Ltd among the five fellows shortlisted for BIRAC-Ignite 2015 Fellowship. The shortlisted BIRAC-Ignite Fellows for 2015 can attend the one week Bootcamp “Ignite” organized by CfEL at the Judge Business School, Cambridge University, UK followed by an additional week of training by CfEL. This year’s Ignite & the additional week are scheduled from 5th-17th July 2015. This fellowship will cover CeFL’s Ignite program fees, UK visa fees, boarding & lodging and to & fro travel to London as per BIRAC norms. Mr. Aman Sharma of Exocan Healthcare Technologies Pvt Ltd and Dr. Venkat Panchagnula of Barefeet Analytics Pvt Ltd among the five fellows shortlisted for BIRAC-Ignite 2015 Fellowship. Gram Oorja Solutions Pvt Ltd, a resident incubatee of Venture Center inaugurates seven solar micro-grids at the hands of Shri Chintaman Vanaga, Member of the Lok Sabha from Palghar at Hedoli, Jhap grampanchayat, Jawhar taluka, Palghar dist. These micro-grids were set up under the aegis of Pragati Pratisthan, with funding from ICICI Bank. These villages are located in Jhap, Aina and Pathardi gram panchayats of Jawhar taluka of Palghar district. The villages of Dakhanepada, Umbarpada, Vadpada, Hedoli, Navapada, Manmohadipada and Bhatipada, comprising of 200 households and a total population of approx. 1200 now have micro-grids totaling 38 kWp servicing their power needs. Shri Girish Kuber, Editor of Loksatta, Mumbai also graced the occasion as a special guest. 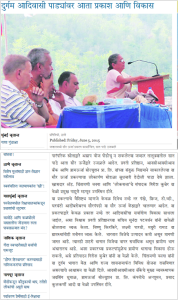 This news is covered by various media platforms like IBNlokmat and Loksatta. Nayam Innovations Pvt Ltd, a resident incubatee of Venture Center founder by Mr. Tanuj Gigras, has secured investment of around Rs 64 lakh ($100,000) from Villgro, a social enterprise incubator, supporting innovators and social entrepreneurs. 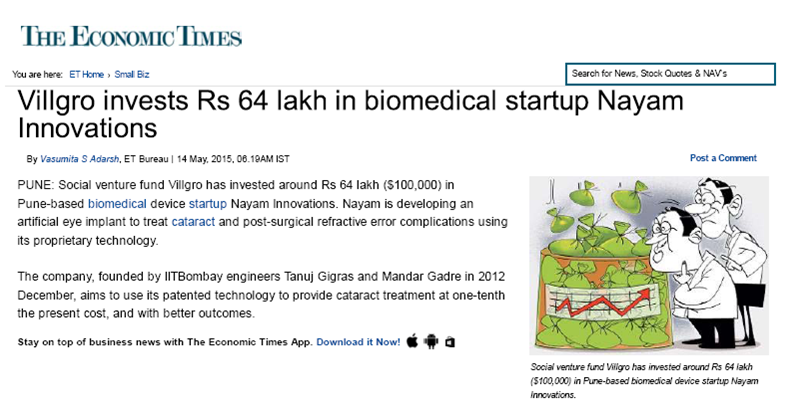 The news about this investment deal has been captured and highlighted by various media platforms like Entrepreneur India.com in their news section, Economic Times, VCCircle News & Times of India..
Karthik Somasundaram from Mother Diagnostic Systems Private Limited, a Venture Center’s Ignition program member, has been shortlisted for Silicon Valley Visit & IC2 Institute’s Business Development Support under IIGP 2015. 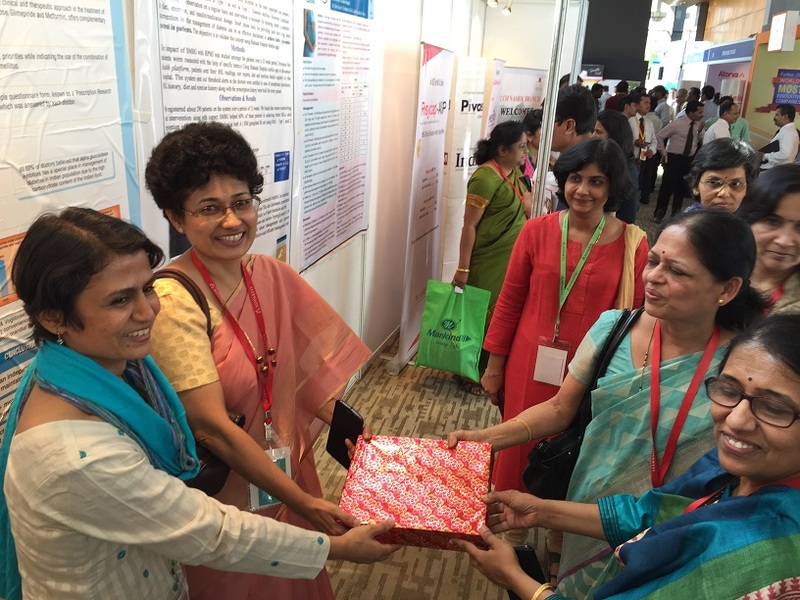 Periwinkle Technologies Pvt Ltd, a resident incubatee of Venture Center, won the first prize for the poster presentation at the The diabetologists’ conference for Maharashtra State (RSSDI) held in Pune from 1st to 3rd May 2015. 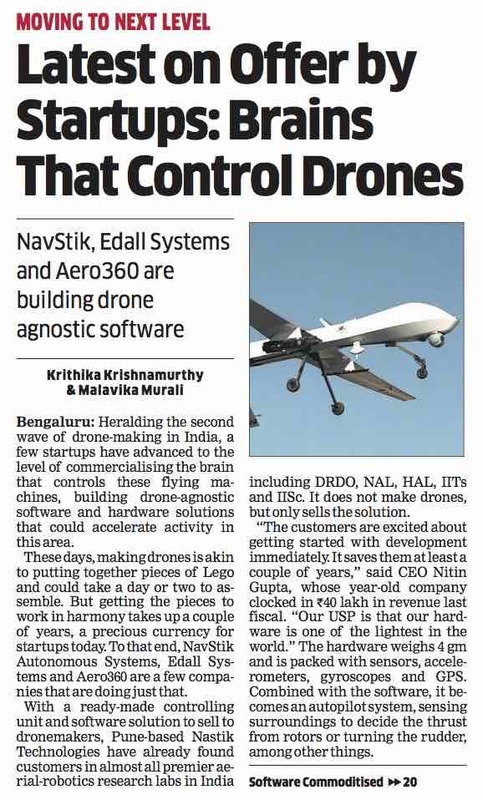 NavStik Autonomous Systems Pvt Ltd, a resident incubatee of Venture Center was featured in an article on drones in Economic Times. 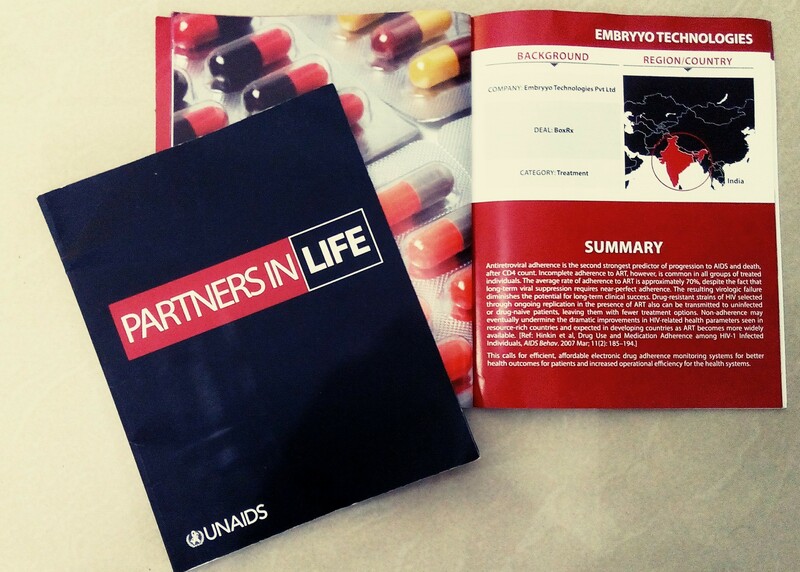 Embryyo Technologies Pvt Ltd, a resident incubatee of Venture Center received a grant of 100K USD from the Bill and Melinda Gates Foundation and USAID under the Grand Challenges in TB Control program. This is the Phase 2 of the project which they have been awarded after the successful completion and pilot testing of their products developed during Phase 1 of the project. In the Phase 2 of the project, they will be conducting a multi-center trial of the product to establish the efficacy of the intervention in improving the drug adherence of TB patients. Dr. Abhay Shendye of Swasti Agro & Bioproducts Pvt Ltd, an associate incubatee of Venture Center became the pitch winner in the category of “enterprise-stage” and received a cash prize of Rs1,00,000/- at the Villgro’s Unconvention|L event on 7th March, Saturday held at the MCCIA Trade Tower. Other than the cash prizes and the scholarship the winners will get an exclusive session to discuss their business with Villgro mentors, the chance to be incubated by Villgro and receive Rs 65 lakh funding, hands-on mentoring and talent support, connect to national and international networks. Mr. Sachin Dubey and Mr. Usman Khan of Module Innovations Pvt Ltd and Mr. Hrishikesh Mungi of Abhiruchi Probiotics Pvt Ltd were covered by The Economic Times in their “Entrepreneurship” section. Both Module Innovations and Abhiruchi Probiotics are beneficiaries of “Lab2Mkt ” program of Venture Center. The article focuses on scientists turning entrepreneurs and taking their research from labs to market through Venture Center’s early stage technology commercialization programs like “Lab2Mkt”, along with aid from various funding agencies including “Biotechnology Ignition Grant” from Department of Biotechnology, Government of India. Flipkart founders Sachin Bansal and Binny Bansal have invested $1 million in Ather Energy Pvt Ltd. Ather Energy, an electric vehicle start-up based out of the incubation cell of IIT Madras focuses on designing high-speed electric two-wheelers for the Indian market. Ather also raised $1 million in February this year from V Srinivas (founder, Aerospike) and the Technology Development Board, Government of India. Mr. Gautam Morey of Sofomo Embedded Solutions Pvt Ltd, a resident incubatee of Venture Center and Swayam Sikshan Prayog, an ex-resident incubatee of Venture Center have been awarded at the “Vodafone Mobile for Good” award 2014 organized in Delhi on 17 November 2014!! Mobile for Good Awards, a flagship initiative of the Vodafone Foundation in India supports emerging mobile solutions with transformational impact on the society. In 2011, the Vodafone Foundation introduced the ‘Mobile for Good‘ (M4G) Awards under the framework of the existing mBillionth award, instituted by the Digital Empowerment Foundation (DEF) in India. The awards recognised and supported four best practice NGOs/NPOs using mobile technology in the areas of m-health, m- education, m-governance and m-business inclusion in India, through crucial funding and mentorship. Mr. Sachin Dubey of Module Innovation Pvt Ltd, a Lab2Mkt beneficiary of Venture Center has won second prize in the poster presentation (diagnostic), at the “International Knowledge Millennium Conference”( IKMC) 2014 organized by IKP Knowledge Park Hyderabad on November 3 & 4. As part of its Knowledge Network building activities, IKP Knowledge Park organises the International Knowledge Millennium Conference, IKMC, once every two years on a topic of global relevance in technology innovation to deliberate on global trends, and opportunities for India in that area, with key stakeholders and experts. 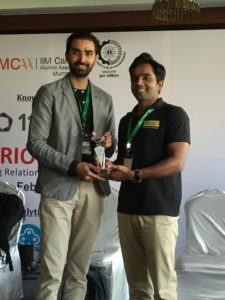 Mr. Tanuj Gigras of Nayam Innovations Pvt Ltd, a resident incubatee of Venture Center has won two prizes at the “International Knowledge Millennium Conference”( IKMC) 2014 organized by IKP Knowledge Park Hyderabad on November 3 & 4. 2. Second prize in the lightning pitch where 20 entrepreneurs were to pitch their ideas. 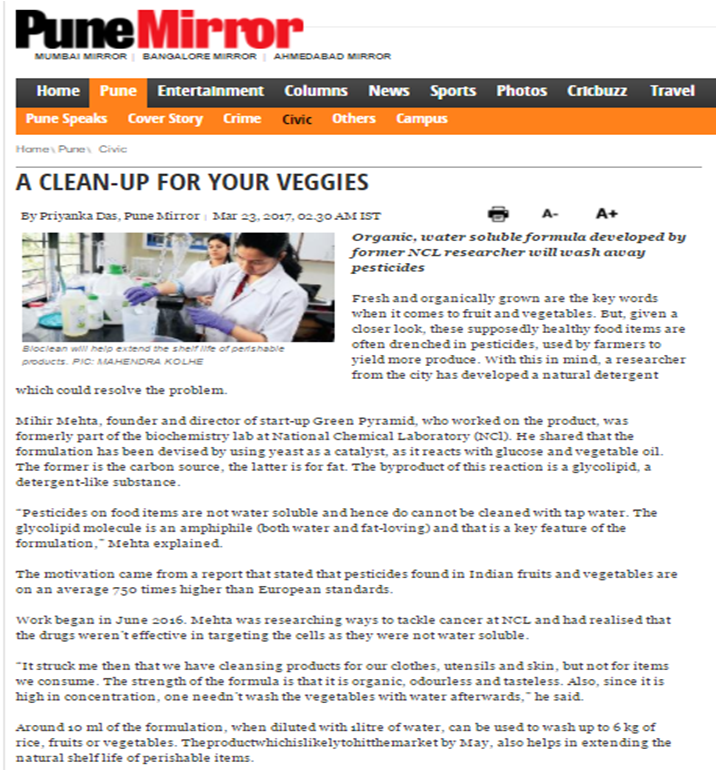 Dr. Abhay Shendye of Swasti Agro & Bioproducts Pvt Ltd, an associate incubatee of Venture Center has been covered by Indian Express Pune newsline in its 5th Nov 2014 edition. The article in the news highlights his work on “vaccine” for plants to save pomegranate crop. His novel work has earned him accolades from Department of Bio-technology , Government of India including the prestigious “Biotechnology Ignition grant”. Mr. Nuriel Pezarkar, Founder and CEO NobleExchange Environmental Solutions Pvt Ltd a Venture Center’s resident company, was covered by Pune Newsline for gracing the inauguration of SIIB Entrepreneurship Cell at the Symbiosis International University as chief guest. 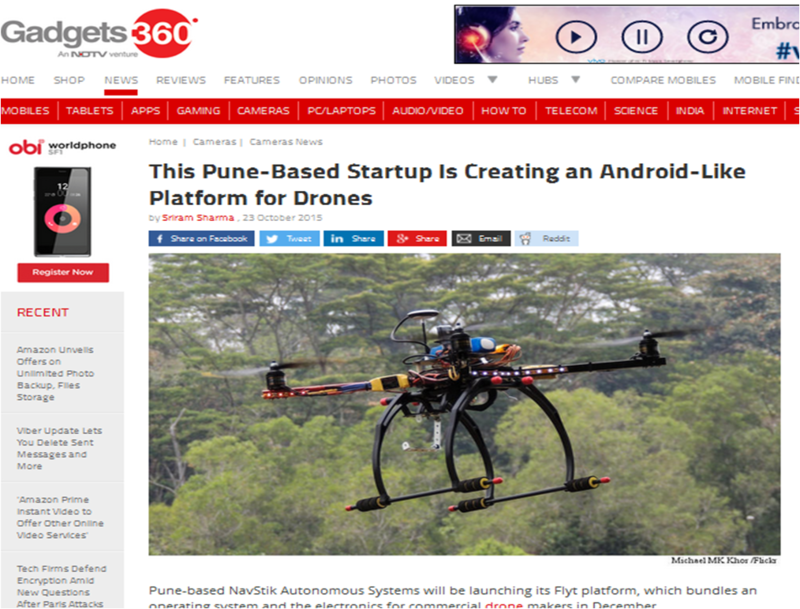 NavStik Autonomous Systems Pvt Ltd , an associate incubatee of Venture Center has won the “Pune Startup Meet and Pitch” event on Saturday 30th August. Startup Meet+ Pitch powered by 10000 START-UPS (A NASSCOM Initiative) and Google for Entrepreneurs, are passionate about helping entrepreneurs and seeing startups succeed. They intend to make the startup journey less lonely, more connected, and more meaningful. They offer an opportunity for all elements of startup ecosystem in the cities to meet, share knowledge-resources! As an entrepreneur – working from one’s dorm room, house or office, they might have large book of questions can now use this opportunity to come out & ask the questions to other entrepreneurs & investors! The pitch winners will receive $25,000 VAS & credits from Google, Microsoft & Amazon. The central idea of the proposal is to build novel diagnostic tools to monitor the growth of the fetus during pregnancy. This will be achieved by the regular measurement of the volume of the fundus, weight of the pregnant lady and her height. Development of a point‐of‐care diagnostic tool for pre‐eclampsia screening. The applicant wants to utilize Shantani’s in house protein biochemistry and immunology expertise to first screen and select the antibody against PIGF and sFlt‐1,and then use the selected antibodies to develop an immunochromatography method forthe detection of PIGF and sFlt‐1 and finally validate the method in clinical samples. NobleExchange Solutions Pvt Ltd has been awarded the contract from Pune Municipal Corporation (PMC) for waste processing plant to process 300 metric ton of waste everyday. Our resident incubatee, NobleExchange Solutions Pvt Ltd has been awarded the contract from Pune Municipal Corporation (PMC) for setting up waste processing plant to process 300 metric ton of waste everyday. NobleExchange, being the younger of the two companies who have been awarded the contract out of 5 bidding companies, will be provided with 7 acres of land to set up the processing plant. Both the plants of these companies will be constructed on a Build-Operate-Transfer (BOT) basis. 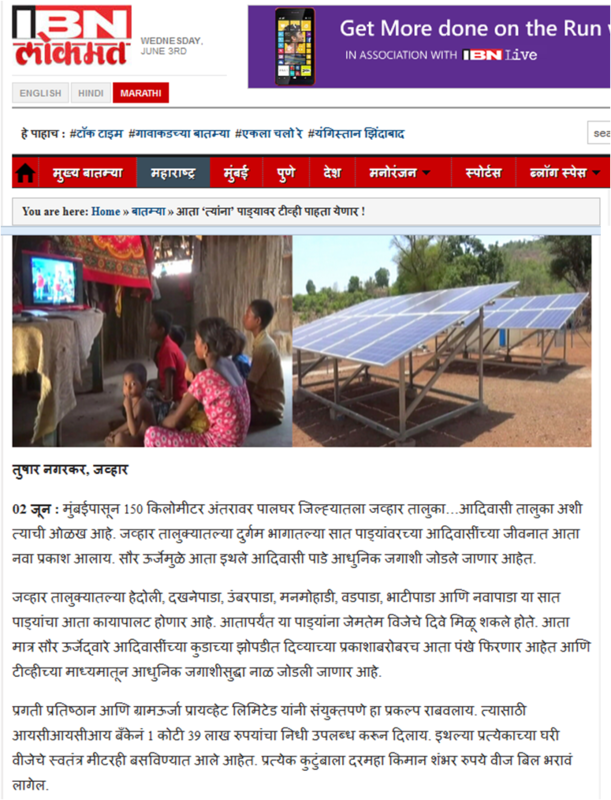 Gram Oorja has been highlighted in a report titled as “Rural Energy Alternatives in India: Opportunities in Financing and Community Engagement for Renewable Energy Microgrid Projects” which focuses on challenges for rural electrification in India and possible approaches to meet them. The report was produced by a group of second year graduate students at the Princeton University’s Woodrow Wilson School for Public and International Affairs as a degree requirement for the completion of a Masters of Public Affairs. The India SME Forum is India’s only not for profit, non political, non governmental and non trade association and is India largest SME initiative for enabling the SMEs to sharing best practices, addressing their concerns and rewarding success. 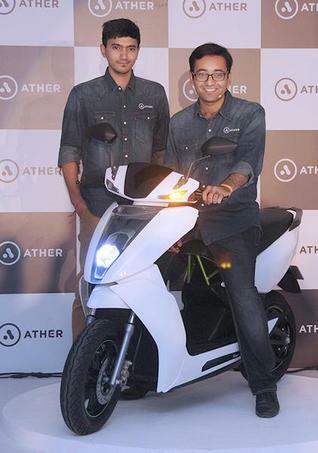 Ather Energy is a Chennai based start-up with a vision to design premium electric two-wheelers for Indian Market. 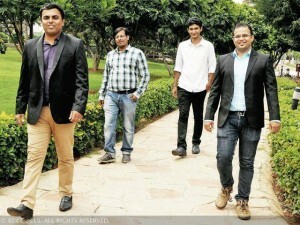 The founder duo Swapnil Jain and Tarun Mehta who want to change the lackluster image associated with the current crop of battery-operated scooters, plans to launch the e-bike around 2015. Dr. Vishwas Joshi, founder of Seagull Biosolutions Pvt Ltd has been selected among the top 10 shortlisted innovators for Silicon Valley course under DST-Lockheed Martin India Innovation Growth Program. Seagull Biosolutions Pvt Ltd was selected among the top ten innovators from sectors as diverse as healthcare, textiles, agriculture, defense and food processing. In a multi-step evaluation, first phase screening selected top 100 inventors, then 45 innovators were down-selected and given week long training by faculty members from the Stanford Graduate School of Business. Of this, 20 of the top 30 innovators received a cash award of Rs1 lakh each and ten will be taken on all expenses paid trip to the Silicon Valley. Rahul Pathak of Uniqflux membranes LLP, a Venture Center beneficiary has been selected for the Emerging Entrepreneur award 2014 by the Brands Academy. The book is published in India by Roli Books and printed at New Delhi in December 2013. 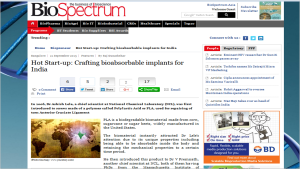 Biotech innovation: Biopore Surgicals on Hunnarbaaz! Skilled To Win! Hunnarbaaz: A pioneering reality TV show that spotlights skills and innovations. The show will help millions of young Indians become aware of the various ways in which they can upgrade their skills, become employable and commercially utilise their inventive genius to provide for themselves. 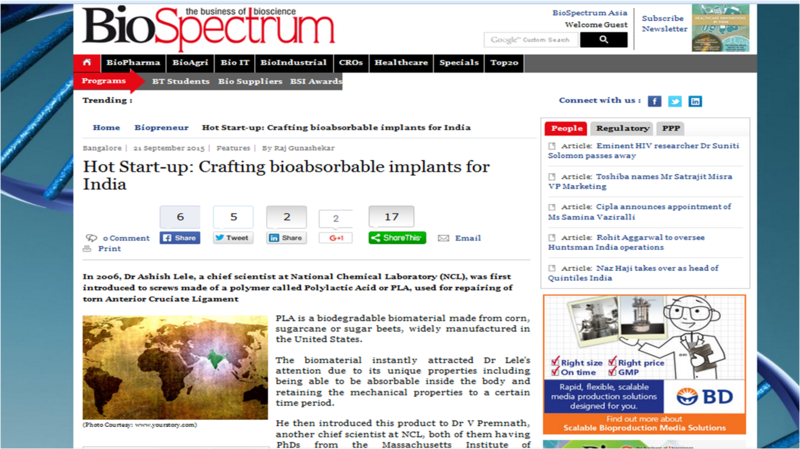 Biotech innovation: Seagull Biosolutions Pvt Ltd on Hunnarbaaz! Skilled To Win! MSRLM through the MRLIF aims at partnering with organizations that go beyond income generation activities and employment programs to include capacity building, financial inclusion, social mobilization and marketing services which are important elements of livelihoods enhancement. MRLIF is a forum which recognizes such innovations in areas of social and financial inclusion, livelihood and sub sectors, social entrepreneurship and inclusive business models.The award was presented to the Founder and Director of SSP, Ms. Prema Gopalan by eminent dignitary, Shri Jairam Ramesh, Honorable Minister for Rural Development. 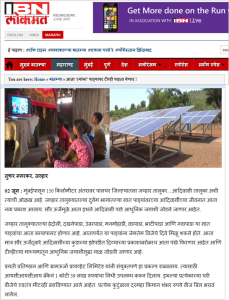 SSP was selected as the finalist amongst 38 finalists shortlisted from over 400 applications in Maharashtra.